Tennis captain Meredith Cummings prepares for a backhand swing during practice. 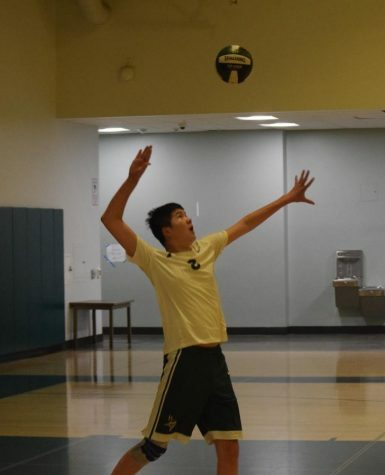 The team is working on volleying and serving in anticipation of Thursday’s game. After a lackluster season, the girl’s team is looking to win the championship in a new league. Photo by Emma van der Veen. 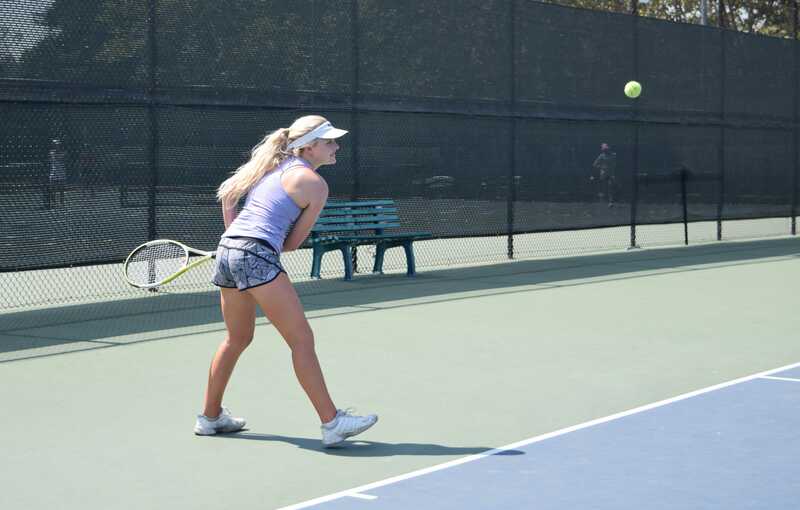 With its first pre-season match coming a week from today, The Palo Alto High School girls’ tennis team is preparing for an exciting season of development with new players and a new league. 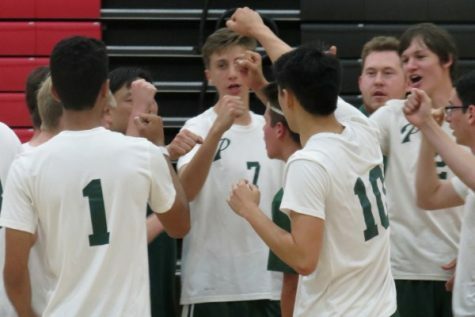 Last season, the Vikings placed second to last in the De Anza League with a record of 2-12, prompting head coach Andy Harader to move the team into the El Camino Division, the lower branch of the Santa Clara Valley Athletic League this year. According to Harader, the team graduated three senior players, including captain Halle Biorn, last year’s strongest leader. This year’s team consists of six seniors, three juniors, one sophomore, and three freshmen, headed by senior captain Meredith Cummings. According to Harader, the team is in serious championship contention playing in the lower league. 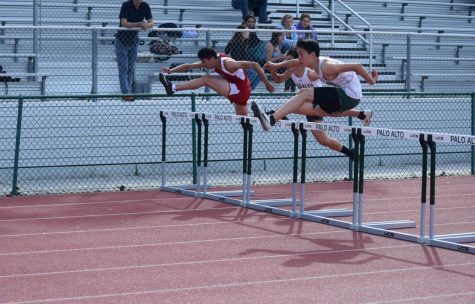 “We have a much, much stronger team this year and I think we are going to win a League championship,” Harader said. Cummings says she is optimistic for the coming season and the future of the team. 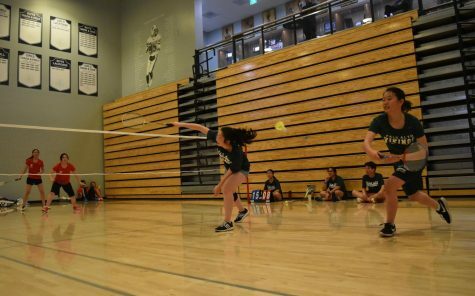 “The stars of the team this year will definitely be underclassman, since two new freshmen, Claire [Li] and Anuva [Banwasi], are ranked players and are extremely talented, dedicated and hardworking,” Cummings said. 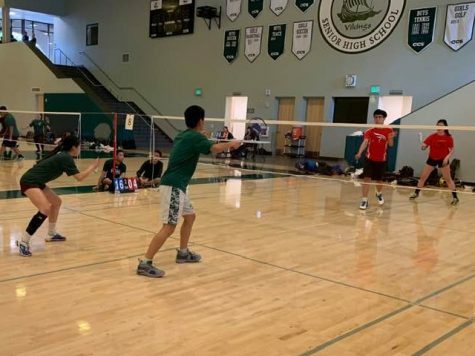 According to Harader, the new players will allow for doubles play to benefit as well, as some of the singles players will be required to play doubles due to limited singles competition spots. 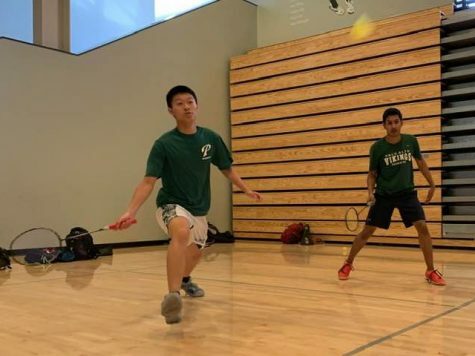 Paly’s greatest strength lies in its singles players, according to Li. 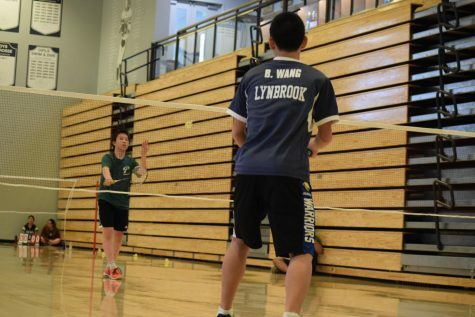 “We have good singles people and for doubles we have people that are really good at volleys,” Li said. According to Banwasi, the Vikings need to polish their skills through hard practice. Cummings reaffirmed the need to push through other issues, specifically more technical ones. 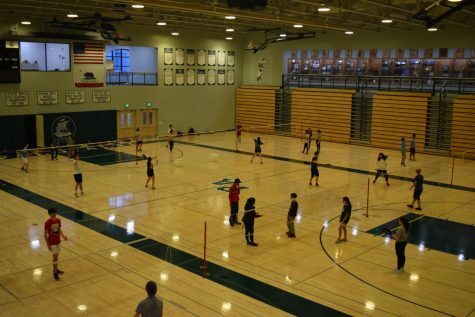 “It is necessary to work on our volleying techniques in order to be fierce at the net,” Cummings said. 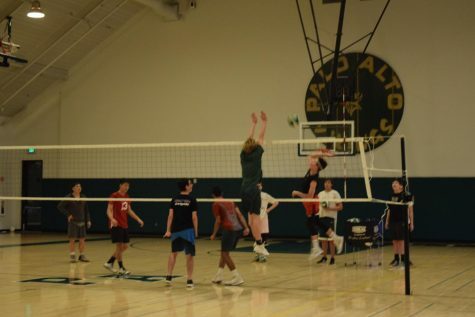 For its non-league opener, Paly will face off against Aragon High School at 4 p.m. on Thursday at Aragon.